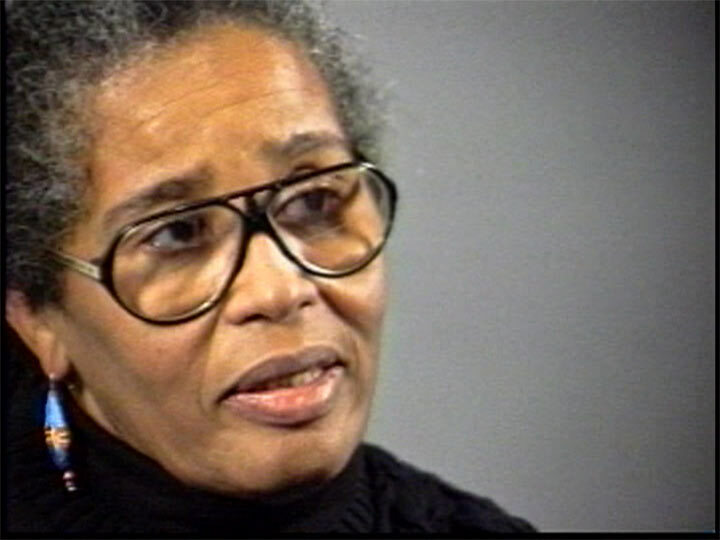 In this 1996 interview, African-American sculptor, printmaker and designer Valerie Maynard (b.1937) describes growing up in Harlem in the mid-20th Century and her awareness of the importance of community during her upbringing. Recalling the prominence of the Baptist church in her early life, Maynard discusses how religion brought her into contact with local politicians who impressed upon her the importance of affecting change. The artist notes how an early affiliation with Congressman Adam Clayton Powell and her brother’s incarceration propelled her interest in social justice and the workings of the judicial system. Maynard cites this interest as the motivating factor for her controversial statements about racial discrimination made during the opening of one of her exhibitions in Sweden. She concludes by describing how this outspoken and irreverent commitment to equality has continued through her life and work ever since.